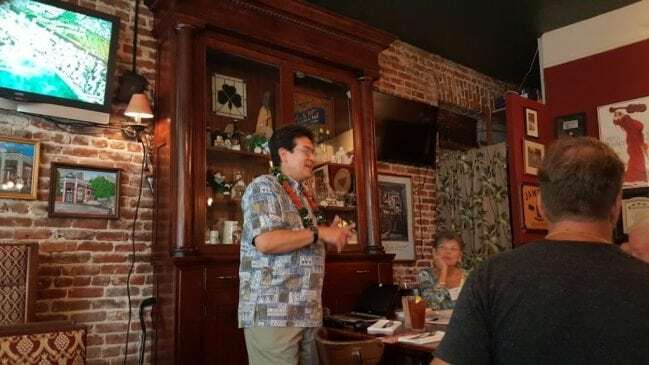 Hawaii Tourism Economist Dr. Paul Brewbaker noted that three of the gang of four’s recent meeting with Governor Ige to present their ideas on tourism was “only the second time in 30 years” he had been invited to such a meeting on tourism with a governor. His previous meeting had been with Governor Ben Cayetano in the 1990s. Given the current situation and Chaos in the Hawaii Tourism Authority, this makes one wonder where Hawaii’s elected officials to get actionable economic tourism information – outside of their isolated political silos. Today, tourism in Hawaii is smaller absolutely in economic size (constant-dollar export revenue) and is smaller relatively in value-added contribution (GDP share) than in 1989, although it has generally been recovering during the early-21st century from late-20th-century compression. Therefore since 1989 tourism in Hawaii has not been a net contributor to economic growth. Real Hawaii tourism receipts in 2017 ($16.78 billion) were approximately $2 billion lower than in 1989 ($18.82 billion, in 2017 dollars). Meanwhile, numbers of Hawaii tourist arrivals have risen by almost 3 million during the same three decades, from 6.49 million in 1989 to 9.38 million in 2017. Total tourist days (arrivals times average stay length) have risen from 60 million to 83 million. Hawaii tourism’s physical footprint has expanded, but its real economic yield has not. “More visitors, not more dollars” is the outcome. At current rates of increase in the 2010s, real Hawaii tourism export receipts may match, by 2019, those in 1989, but thirty years will have passed without any incremental economic benefit from tourism while the external costs of physical tourism volumes will have grown large enough to seriously erode public favor in the meantime. Tourism economic performance in Hawaii has been impaired by short-term exogenous factors which constrain tourism export receipts even when volumes are growing. Currency depreciation, business cycle variations, behavioral and market-share shifts, and fat-tailed (leptokurtotic) event risks each, among other factors, have undermined sustained real Hawaii tourism export revenue growth from time to time. Moreover, as longer-term Hawaii tourism growth has slowed, volatility has not abated, implying that risk-adjusted returns have declined even before accounting for external effects. More of The Same For Hawaii Tourism?